In the File menu choose Export... then YoYotta Archive. Choose a location to save the file. 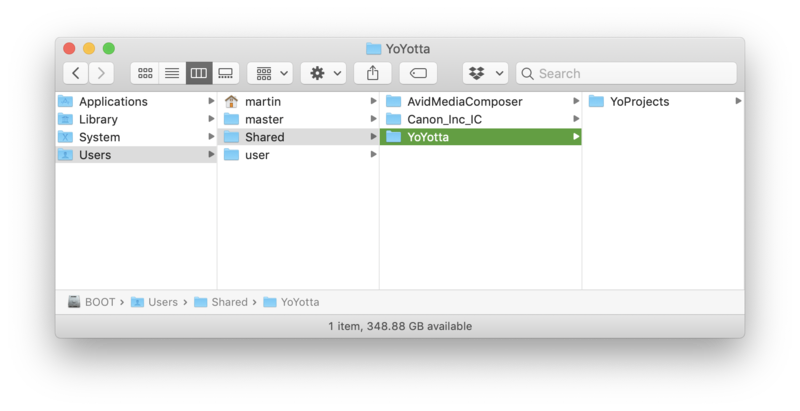 Then if you need to restore it, quit YoYotta, unzip the archive and drop the YoProjects folder into the /Users/Shared/YoYotta folder. Quit YoYotta on the old computer. Run YoYotta once on the new computer and then quit. Copy the YoProjects folder from the old computer to the new computer. Open the Finder to /Users/Shared/YoYotta and replace the existing YoProjects folder. This will replace all the existing projects on the new computer. To merge projects from one computer to another, export required projects and import them as shown below. Open the Project Browser and select all the media. 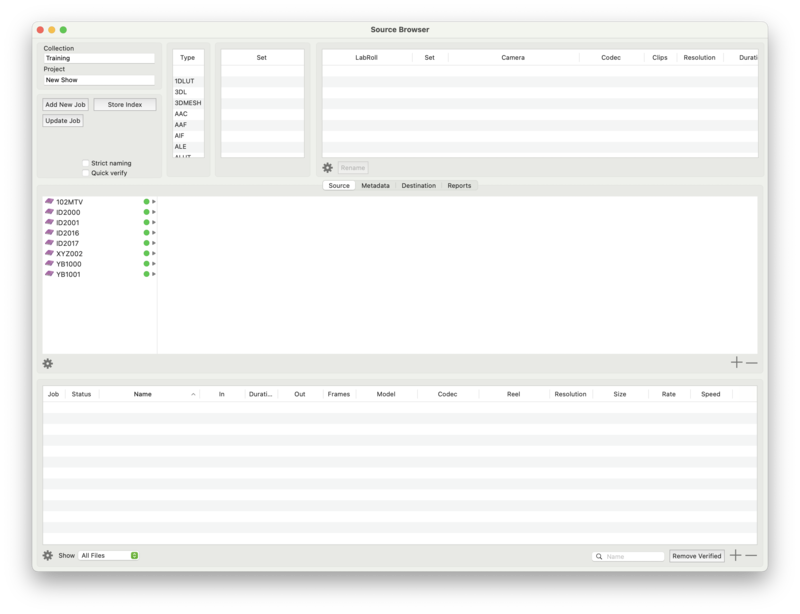 Then click the CSV to export a CSV file. Drag and drop the CSV project file onto the job table. Or drag and drop the CSV project file onto the YoYotta app icon in the Dock. The Source Browser will open, select a Collections and select or create a Project and click Store Index. Otherwise export your v2 projects and import them into v3. Run v2 (608) or newer and follow these instructions to Export All Projects. Run v3 (60) or newer and then import project assets as shown in previous section.